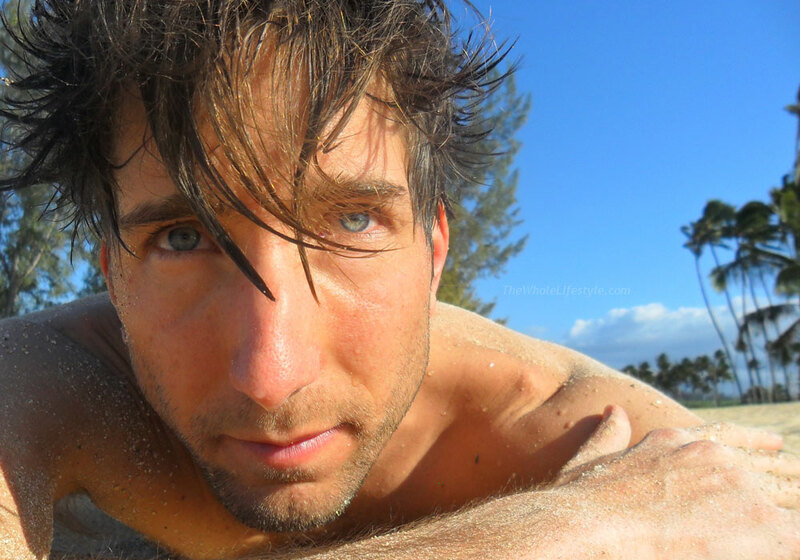 We’ve been raw vegans for a long time, Jesse – since 1998 and Reny – since 2007. And we always manage to eat 100% raw, even while traveling. So we would love to share some tips on how to eat raw food on vacation or during your traveling. When we go on a plane, bus or train, we usually bring some fresh fruit that does not get spoiled too quickly. Apples, grapes, tangerines and oranges are great. Bananas can get smashed in your bag, but if you eat them soon, they actually taste even sweeter in a smashed state. So don’t throw them away before you try them, they might still be good. If they taste sweet – you are lucky. If they taste sourish or fermented – you would have to dump them. Pears and persimmons are great if they are not too mushy. Be careful with bringing soft, juicy fruit, since it can be easily squished in your bag. 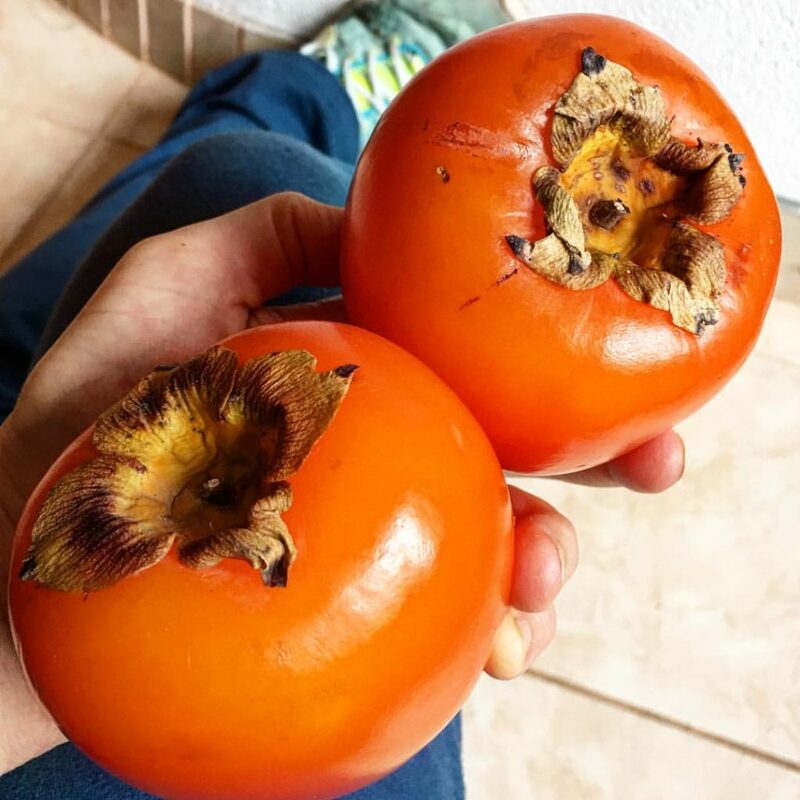 You can try to bring this kind of fruit in a plastic container, lined up with lettuce or cabbage leaves to avoid contamination of fruit with plastic. You can also use metal containers. Glass and ceramic containers are the best for food, but they can break easily unless you wrap them in a thick and soft cloth. Avoid putting your glass containers in the check-in baggage, because workers in an airport are often throwing bags and they can be hit pretty hard. Another reason is a huge change in pressure during the flight, so it’s not unusual for all kinds of containers to open up in the check-in baggage. It is also good to bring some greens, that you can eat on the go. Celery sticks, all kinds of lettuces and other soft greens are great for balancing the sweetness of your fruit. It is important to balance your fruit meals with more mineral-rich veggies and some healthy fats. For the veggie meal, it is easy to bring some cucumbers and lettuce with avocados. Ripe and soft avocados can also get smashed, so be careful and keep them in a separate bag or on the very top of your bag. Tomatoes are also great to eat on your trip since they are quite hydrating and giving an additional boost of vitamin C to your veggie meal. But again, you need to be extra careful not to smash them in your bag. If you can find a very fresh and juicy cabbage, you might enjoy to chew it on its own or with avocado. It is very convenient to bring because there are no worries about smashing it or making a mess. Beets, on the other hand, are really messy, need peeling and can stain your fingers and clothes pink, so think twice before bringing these otherwise wonderful veggies. It is also very important to bring your spoon and/or fork. We love bamboo or wooden spoons, they don’t oxidize our food, don’t add a metallic taste and feel so much more natural in your mouth! Bamboo spoons are also lighter than metal. 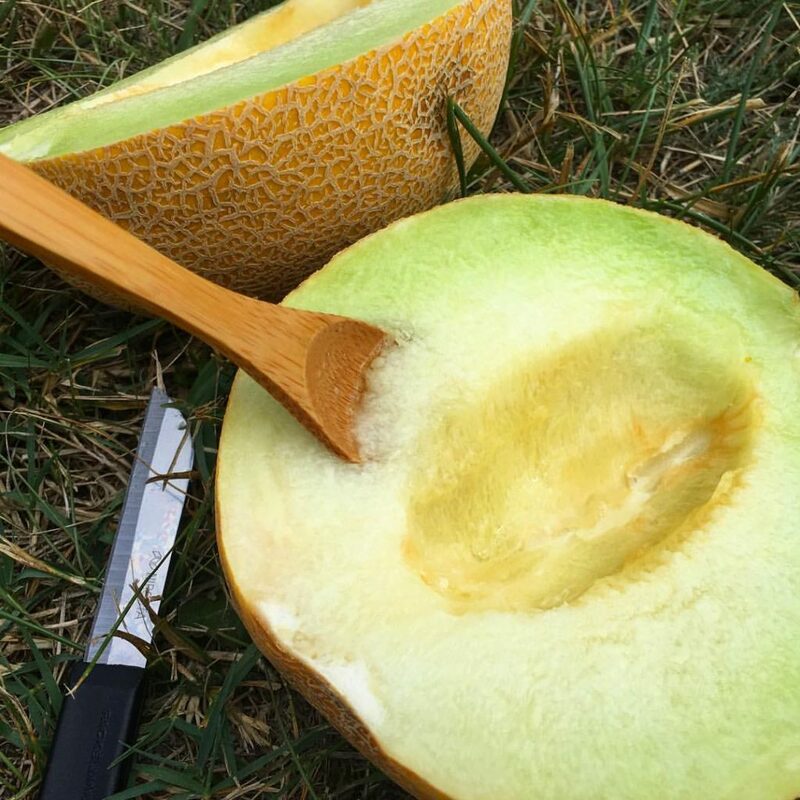 If you are bringing a knife, which is quite an important tool for peeling fruits and veggies, you will need to put it in the check-in baggage, since as you probably know, it’s not allowed to bring knives on board with you. Little and middle sized glass jars wrapped in some thick soft cloth are also very useful for using as a dish to eat from and to carry your food around. For example, you can have a bag of dried goji berries, raisins or nuts and soak them in your jar at any moment. Just make sure to eat any fruit separate from fats, like nuts, seeds or avocados. You can read more about healthy food combining here. The easiest way to pack your meal for the flight is to put your fruits and/or veggies in a separate bag. We always bring our favorite recycled and reusable hand-bag full of fresh food in addition to our backpacks and never had any troubles on a security check. The only thing that we’ve been unable to get through airport security checkpoint is a juicy salad in a jar. They said that there was liquid in the salad and they don’t allow liquids. Even when Reny tried to drink all the liquid right in front of them, there was still a little bit of juice left and they didn’t allow us to bring it in. So we gave them the salad and told them to enjoy it because it’s really good. You might try to drink all the liquid from your container with salad or soaked stuff while you are standing in line. Another important thing for your health is to avoid the full body scanners at all costs. Just let them pat you down instead. You will stay much healthier by avoiding this heavy radiation, that is extremely dangerous for our bodies. You might also find a nice supermarket in the airport or not far from it. Try to find out if they have one and it might make a huge difference in your travel experience. 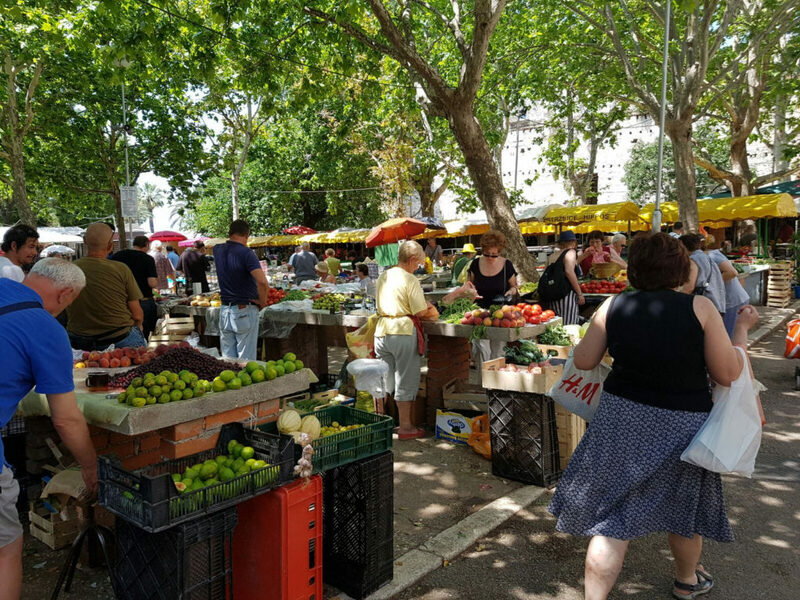 If you have time, you might also take a trip to the nearest city and go to local farmer’s market – the best source of fresh raw food on vacation. Once you arrive at your destination, don’t rush to the closest restaurant in hope to get some raw salad in there. Instead, you can save lots of money and nerves by just going to the local supermarket, or even better, farmer’s market, load up on fresh produce and eat like a queen or king!🙂 Choose fruits and veggies that don’t require a lot of preparation. You can even get a little jackknife in a local store that you can give away to some poor person when you will be leaving the country. A knife, a spoon, and a jar or metal cup are really all you need to prepare a raw vegan meal. Make sure to wash your produce. You can easily do it in a local bathroom at a gas station or a shopping mall. You can use just a bottle of water to wash your fruit over the loan. It is just so much fun to be free and enjoy inexpensive and simple meals of local fruits and veggies in a park or anywhere outside! It is also extremely useful to ground out after your flight, by eating your meal on the loan barefoot. This will help you to avoid jet lag like nothing else! In a case of bad weather, you can eat in a bus station or shopping mall. Another trick is to get a fresh juice in a local restaurant and ask if you can eat your fruit there. Iceberg is great when you just chop it in half and munch as it is with some soaked nuts – yummy! 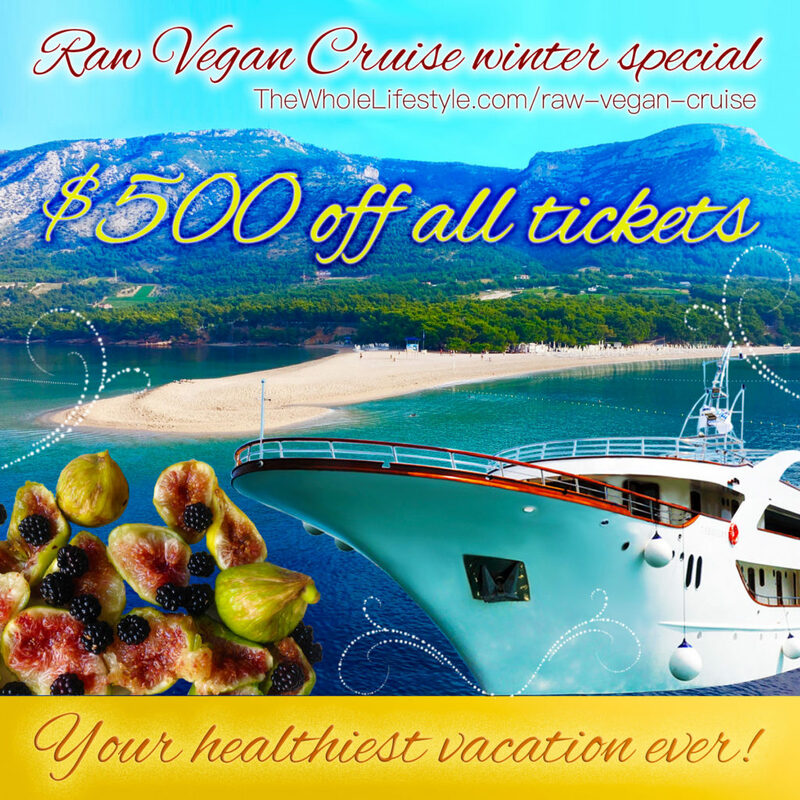 To learn how to eat raw on vacation is easy if you get used to staying raw in difficult situations in your daily life. One of the things that might help you a lot is to keep your food balanced. One or two fruit meals a day and one or two veggie meals a day with low to moderate fat content will help you to stay happy and satisfied. Avoid following dogmas, listen to your body signals and respect your cravings as long as you crave something healthy. 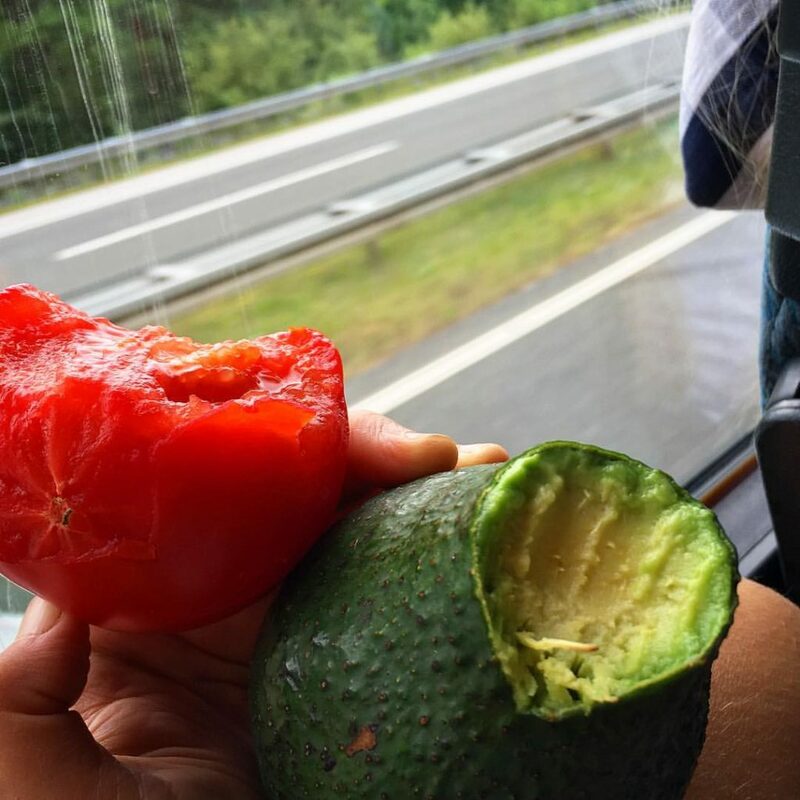 We hope that these tips on how to eat raw food on vacation will help you to enjoy your next trip in a much healthier way! Bon voyage!